Available as low as $0.84 per oz over spot! There are few images from American history that are more recognizable than the Liberty Bell. Although a symbol of American freedom and independence from Britain, the Liberty Bell was actually commissioned by the British in 1752. In a biblical references to the Book of Leviticus, the bell was commissioned to feature lettering that read “Proclaim LIBERTY throughout all the land unto all the inhabitants thereof.” Right now, the 1 oz Silver Liberty Bell Stackable Round is available on Silver.com. When the bell first arrived in Philadelphia and was rung for the very first time, it suffered a crack. Twice, the Liberty Bell was recast in Philadelphia by local workmen John Pass and John Stow, whose last names still appear on the bell today. The Liberty Bell was originally used to summon lawmakers to legislative sessions in the city and alert citizens to meetings and proclamations. On the obverse of the 1 oz Silver Liberty Bell Stackable Round is the image of the Liberty Bell itself, which is rumored to have been rung when the Second Continental Congress announced a vote for American independence on July 4, 1776. In reality, the bell was likely rung to celebrate the call for independence on July 8, 1776 along with many other bells throughout the colonies to announce the American movement for independence. 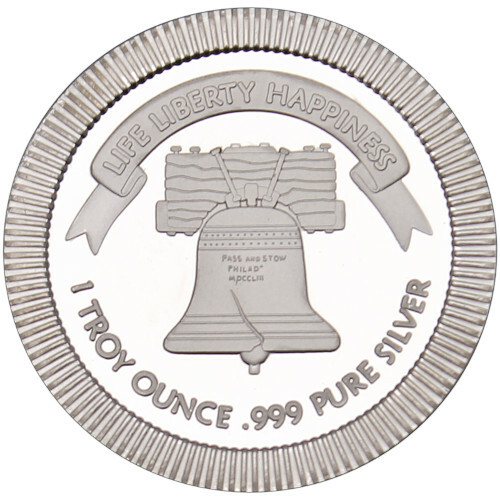 Each 1 oz Liberty Bell Stackable Silver Round available here today is a stackable product from SilverTowne. 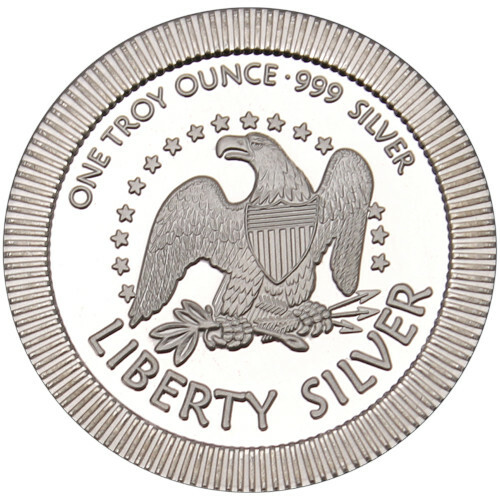 The rounds have alternating raised and lowered ridges along the outer rim makes it possible to stack your Liberty Bell Stackable Silver Rounds with ease, ensuring a safe and secure stack. If you have any questions, please don’t hesitate to reach out to Silver.com. Our customer service associates are available at 888-989-7223, online through our live chat, and at our email address.